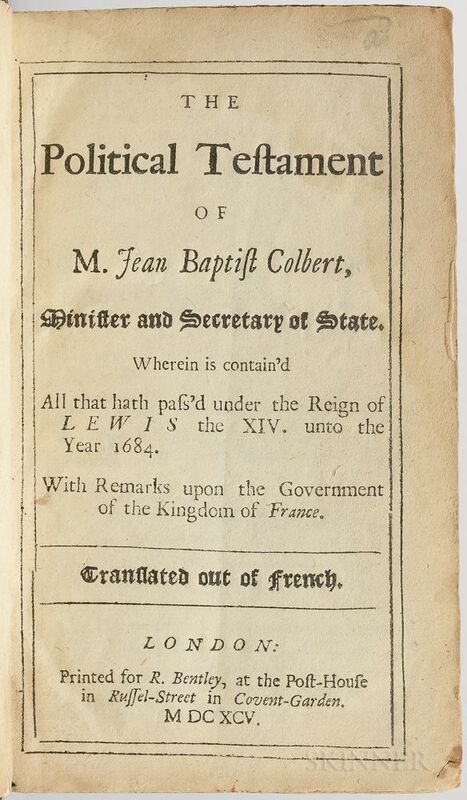 Courtilz de Sandras, Gatien (1644-1712) The Political Testament of M. Jean Baptist Colbert. 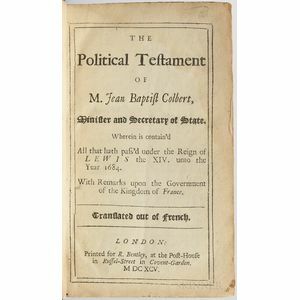 Courtilz de Sandras, Gatien (1644-1712) The Political Testament of M. Jean Baptist Colbert. London: for R. Bentley, 1695. Octavo, rare, four U.S. copies in ESTC, bound in recent full leather, period style, 6 3/4 x 4 in.